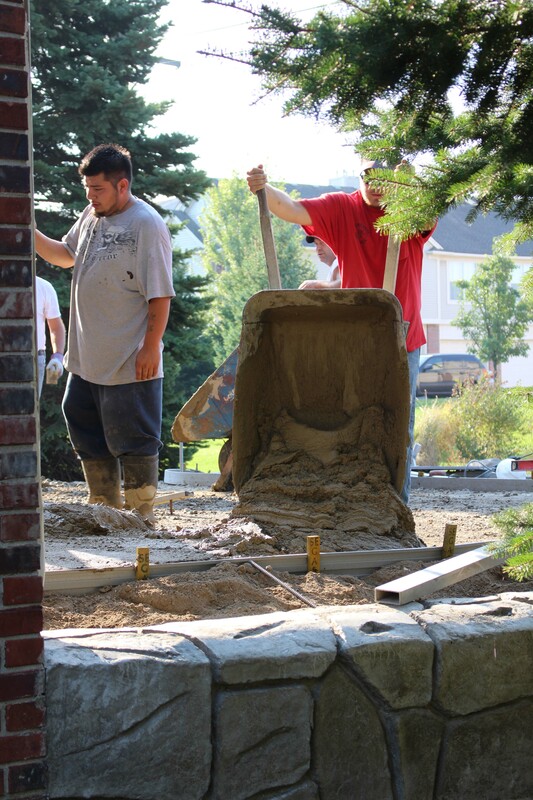 So you are thinking about adding or renovating a patio. There are many different types of surfaces to choose from. 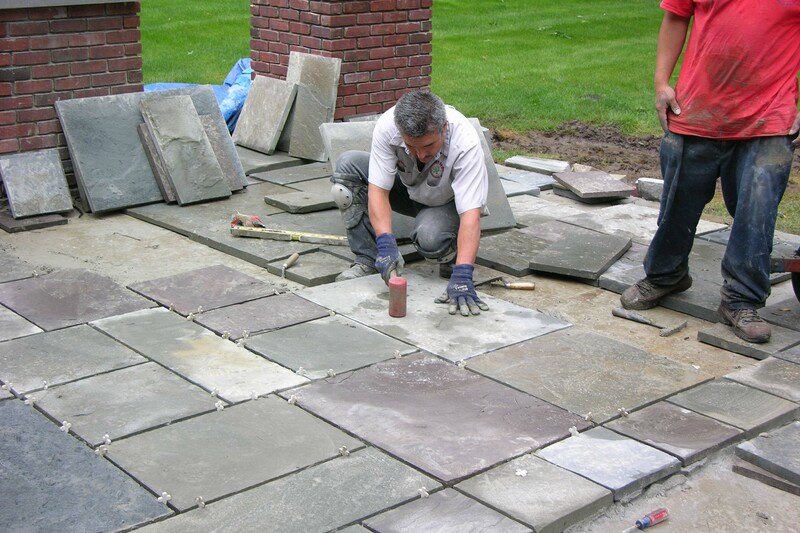 A patio can be a very large investment with prices from $2000 (standard size/shape concrete patio) to more than $40,000 (raised wet laid natural stone patio). So choosing the right surface can be very daunting. Natural stone is a very durable and versatile building material, due to its hard and dense composition. 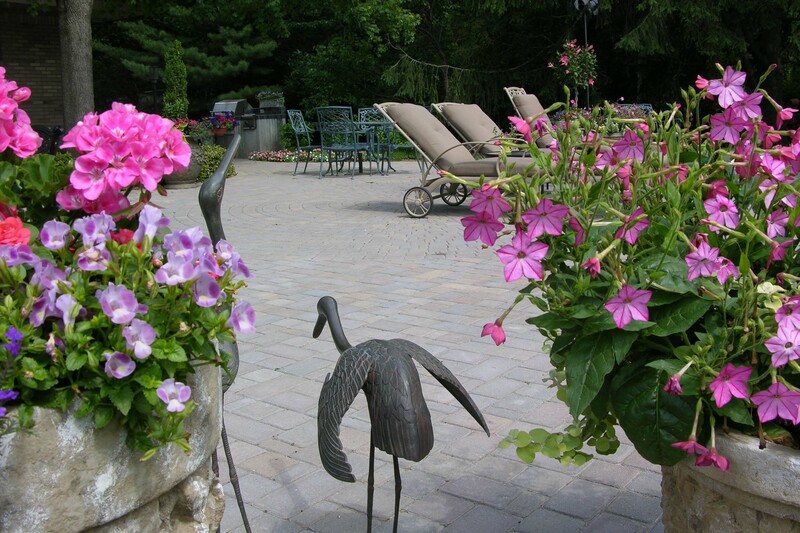 Natural stone is safe to use around the pool, for they have a non-slip finish to them. 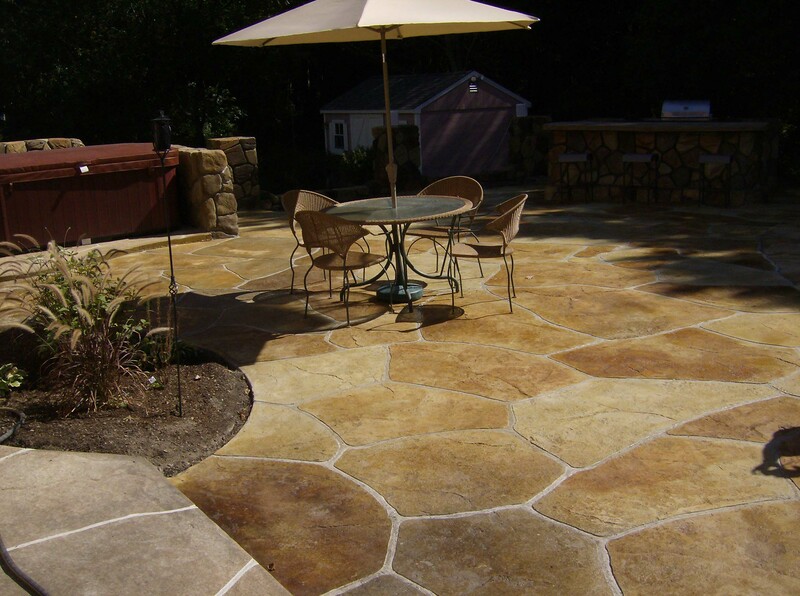 Natural stone will add natural beauty to your property, giving it that classical, ‘ancient’ aesthetic appeal! Because natural stone is available in so many different colors, there is bound to be the right color to match any of your existing materials. 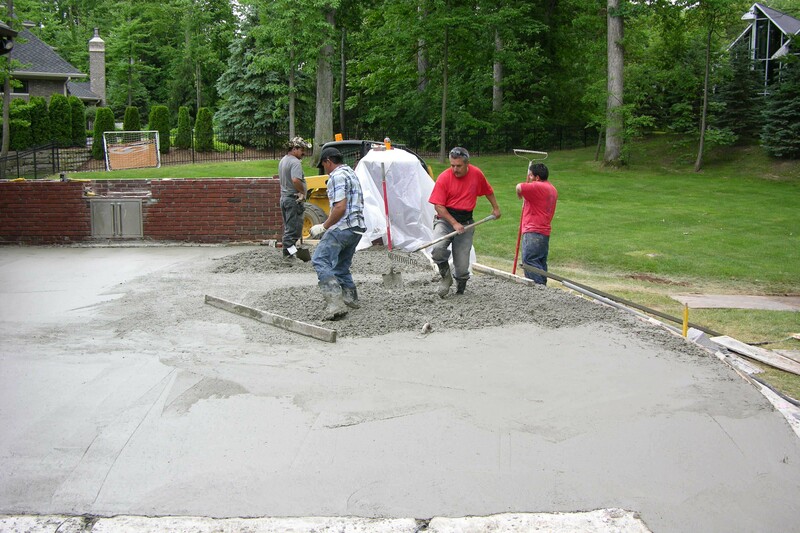 Natural stone can be very long living, if proper installation of concrete sub-base is completed. Extremely high maintenance especially in pool configuration, joints will encourage weeds & ants. Wide range of surface finishes, colors, and styles to meet any architectural style of home. For long lasting, Thoms Bros. offers lifetime warranty on installations. 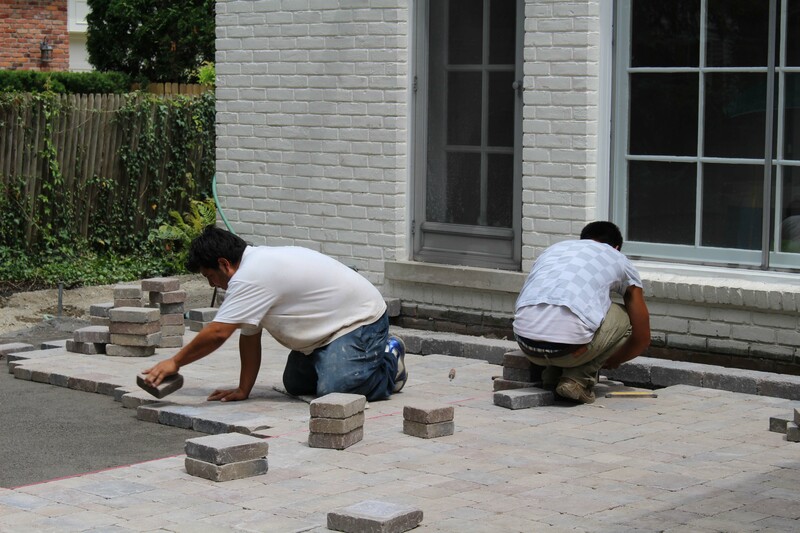 Low maintenance, stained or broken pavers & sunken or heaved areas can be fixed relatively easily. Color is both mixed in with concrete and surface applied. Must be sealed on regular basis (depending on quality of sealer) or surface damage will occur and color will fade. Descent range of surface stamps & colors. Many installers only surface apply powdered color. Must be sealed on regular basis (depending on quality of sealer) or aggregate will pop. This entry was posted in Landscape Features, Uncategorized on April 5, 2014 by admin.